MADE IN MALGA THE NATIONAL EVENT ABOUT MOUNTAIN CHEESE Cheeses and mountain’s products are the protagonists of MADE IN MALGA, with tastes and meetings in the city center of Asiago. Asiago is waiting for you, for a tasty weekend! Made in Malga is a sensory and itinerant experience, a journey where to discover, taste, and (why not) buy all the goodness of the mountains. The businesses of Asiago are an unusual location for a treasure hunt, looking for at the best cheese. An event that will take place in the square of Asiago, with tasting of the best mountain cheese, wine, beer, meat, jam and honey…a culinary event among the streets of the city! Theme dinners, appetizers, workshop, tasting and many appointments created to enhance the food culture. The savours of our typical meals are accompanied by music. A different way to live Asiago from Friday, 04th September to Sunday, 06th September. Each trade/craft will be matched to a producer or malga, becoming a location to discover the milk products. There will be many events: product’s presentation, tasting, aperitif, tasting with wines or beers, theme dinners. Made in Malga is the ideal event for those who love cheese! The program of the event will be diffused through the map of the itinerary “Made in Malga”. The event is sponsored also by the Producers Association of Asiago Cheese. 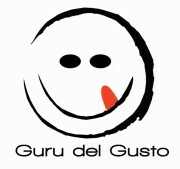 GURU DEL GUSTO is a company that organizes events to promote food of high quality. GURU DEL GUSTO is also publisher of the magazine “ CARTA DA FORMAGGIO”, directed by journalist Alberto Marcomini. The creative direction of events is Luca Olivan. National Exhibition of cheese and products from the mountains. GURU DEL GUSTO is also editor of the paper "CARTA DA FORMAGGIO", bimonthly free magazine about cheese. CARTA DA FORMAGGIO deals with the world cheese dairy and its protagonists.